What did you think of Ovechkin's crushing knockout of Andrei Svechnikov? 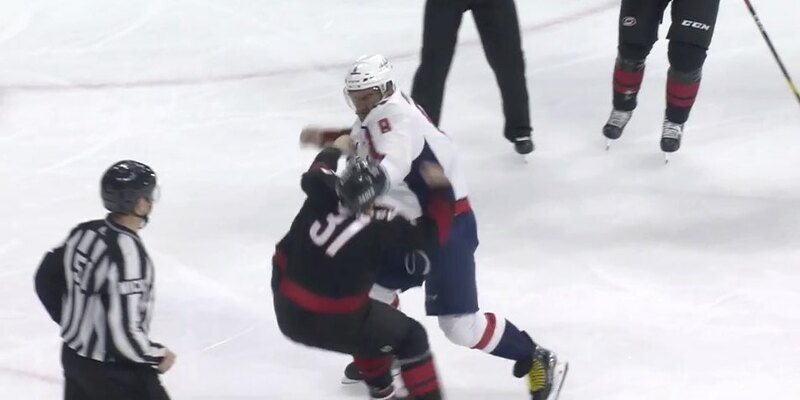 In his first fight since 2010, Washington Capitals captain Alex Ovechkin landed several hard blows to knockout Carolina Hurricanes rookie Andrei Svechnikov in the first period of Monday's first-round playoff game between the teams. The two Russians fought with 9:01 left in the first period, 86 seconds after Warren Foegele put the Hurricanes up 1-0. The internet, as always, acted quickly, updating Svechnikov's Wikipedia to read, "He was killed in a fight by Alexander Ovechkin of the Washington Capitals on April 15,2019", though it was quickly changed back to its original form. He had to be helped off the ice. Ovechkin has never fought in the playoffs. The Hurricanes later announced that Svechnikov wouldn't return to the game due to an upper-body injury.